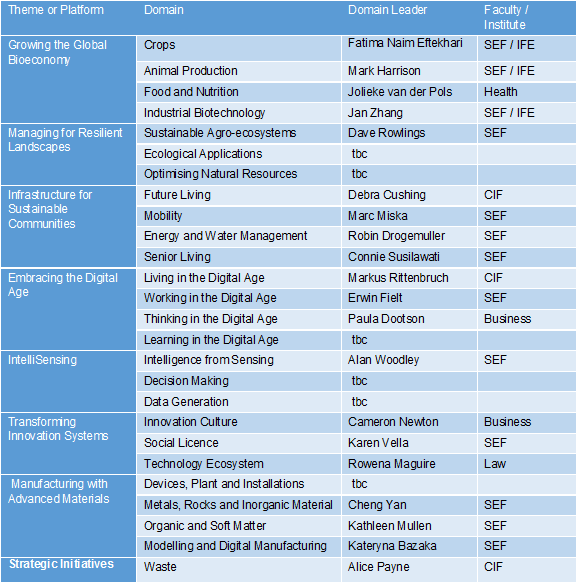 The IFE have appointed a range of Domain Leaders who align with its research themes and enabling platforms as part of plans to expand transdisciplinary research and innovation leadership. IFE Domain Leaders are proactive and strategically focused with an interest in leading and developing transdisciplinary research projects in line with IFE strategic actions and the QUT Blueprint. 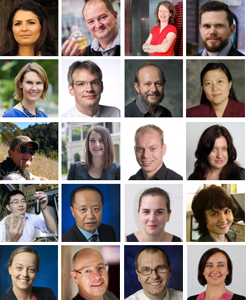 They are passionate about championing and promoting opportunities to deliver impact from research and help end users make an impact in the real world. Vacant Domain Leader positions will be filled shortly.